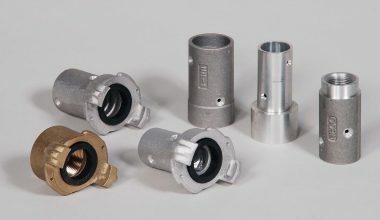 Founded in 1981, Maxi-Blast, Inc. was established in response to a need for high-quality, plastic, non-abrasive deflashing media in the rubber, plastics, electronics and metal deburring industries. 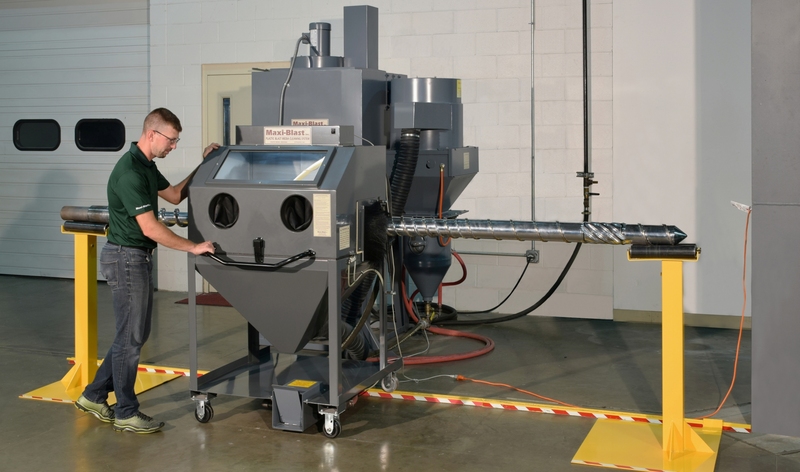 As granulated plastic media for non-abrasive surface cleaning developed further in the mid-80’s, applications such as mold cleaning and paint stripping fueled our growth. Maxi-Blast also became a leading distributor for top quality, heavy-duty pressure blast equipment. The military and aerospace fields also helped us expand as they began replacing hazardous chemical stripping of aircraft and parts with plastic blast media. 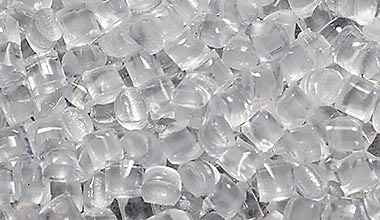 Additionally, the U.S. Military applied Military Specification Mil-P-85891A to plastic media products, making the use of plastic blast media more common. 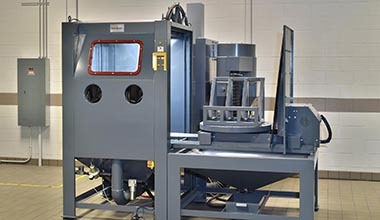 Maxi-Blast is now world renowned in the following industries: rubber molding, plastic molding and extrusion, paint and powder coating removal (Industrial and Aerospace), surface preparation, electronics deflashing, and many other areas in which efficient plastic media blasting has replaced hand finishing and hazardous chemicals. 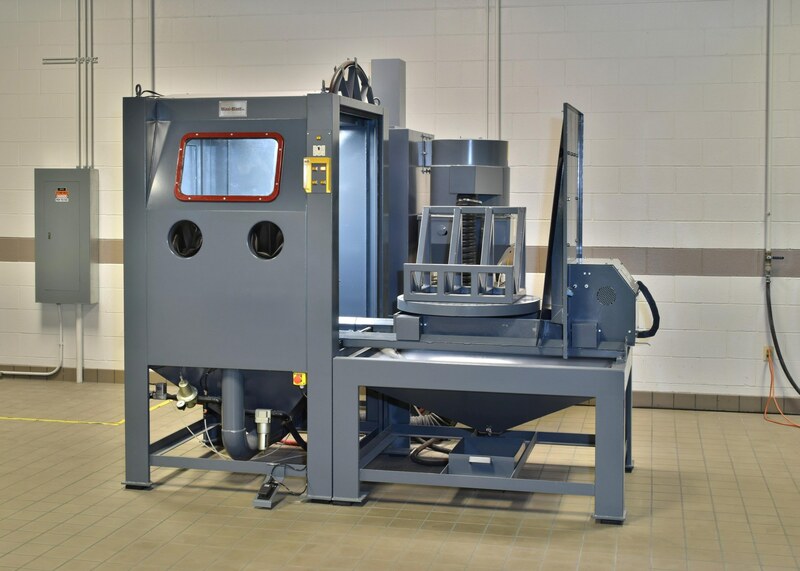 If your company is ready to begin taking advantage of Maxi-Blast Inc’s efficient, non-abrasive plastic blast media processes, contact us today. Our highly trained experts will guide you in successfully preparing for your application and put you in touch with our knowledgeable distributors (available in most countries and every continent) if necessary. 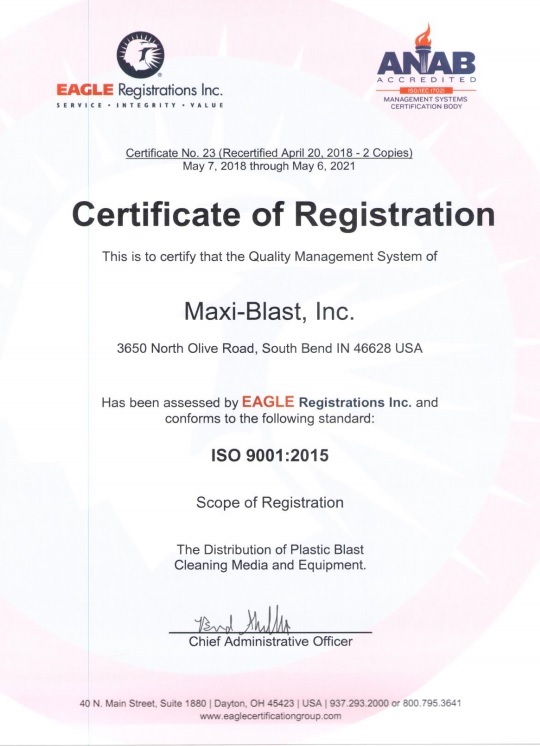 At Maxi-Blast, we are dedicated to providing our clients with the highest quality products available on the market—we are after all, the world’s leader in plastic blast media.